Ever since I can remember, a big pleasure in life is to look at clouds as they drift above. Here, in California, where I live, clouds are rare, and thus to be savored even more. They come with the rain – sometimes fluffy cumulus towering above the mountains – sometimes thin cirrus drifting at high altitudes. 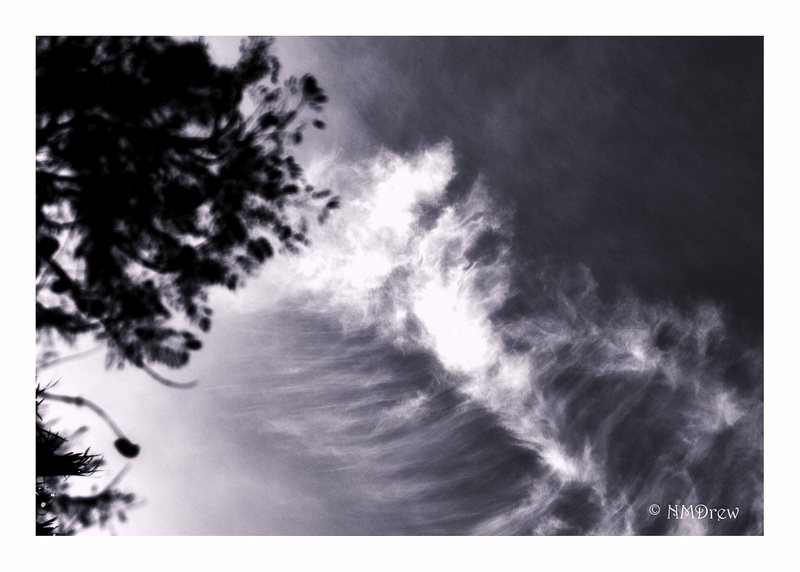 This entry was posted in Glimpses and tagged "photography", B&N, black, BW, cloud, clouds, dragon, Nikon 24-85mm f.2.8-4, Nikon Df, sky, white. Bookmark the permalink.